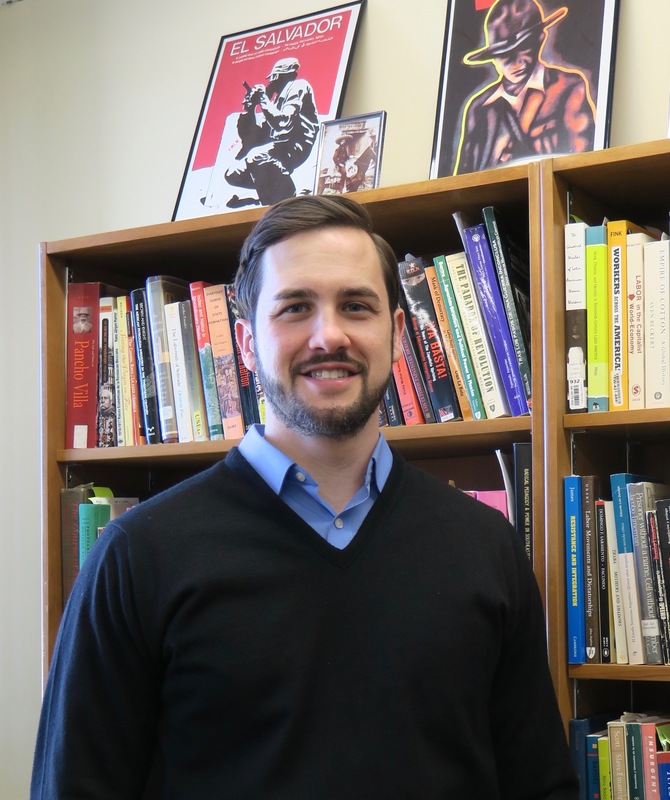 Professor Kevin Young’s main research and teaching interests are in modern Latin America. His first book,  Blood of the Earth: Resource Nationalism, Revolution, and Empire in Bolivia, argues that recent Bolivian social movements in defense of the country’s natural gas have their roots in the mid-twentieth century, when the quest for national control over mineral and hydrocarbon resources became the most important driving force in urban politics. It highlights the complex legacies of Bolivian resource nationalism, offering a reappraisal of the country’s 1952 revolution and the Cold War in the process. Young’s other research analyzes social movements, coalitional politics, and political power in the Andes, Central America, and the United States. His articles have appeared in Diplomatic History, Hispanic American Historical Review, Latin American and Caribbean Ethnic Studies, Latin American Perspectives, Mobilization, and other academic and popular outlets. Blood of the Earth: Resource Nationalism, Revolution, and Empire in Bolivia (University of Texas Press, 2017). “From Open Door to Nationalization: Oil and Development Visions in Bolivia, 1952-1969.” Hispanic American Historical Review 97, no. 1 (2017): 95-129. “The Making of an Interethnic Coalition: Urban and Rural Anarchists in La Paz, Bolivia, 1946-1947.” Latin American and Caribbean Ethnic Studies 11, no. 2 (2016): 163-188. “A Neglected Mechanism of Social Movement Political Influence: The Role of Anticorporate and Anti-Institutional Protest in Changing Government Policy.” Mobilization 19, no. 3 (2014): 239-60. Co-authored with Michael Schwartz. “Purging the Forces of Darkness: The United States, Monetary Stabilization, and the Containment of the Bolivian Revolution.” Diplomatic History 37, no. 3 (2013): 509-37. “Restoring Discipline in the Ranks: The United States and the Restructuring of the Bolivian Mining Industry, 1960-1970.” Latin American Perspectives 38, no. 6 (2011): 6-24.